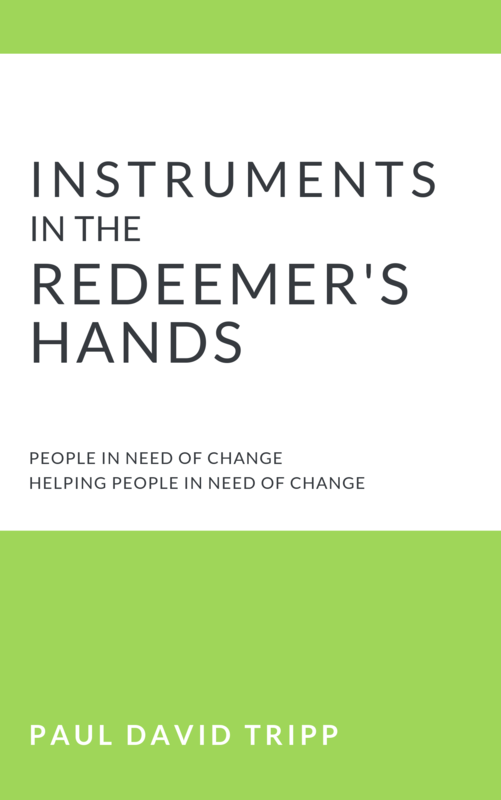 The subtitle explains it all: “People in need of change helping people in need of change.” This is a book about one-on-one personal ministry within the life of the church. Christians do not need to be trained in counseling techniques in order to understand when they are in need of change. Moreover, God has placed them in the lives of others to help them to become more like Christ. God has called His children to be ambassadors. Change happens as the message of the King, found in the Bible, is brought to bear on the struggles and sins of His people. There are four elements of personal change: love, know, speak, and do. These do not represent a process but make up the ingredients for personal change, and they are the essential elements for biblical ministry. Paul David Tripp has written more than thirty books on subjects like parenting, devotionals, and pastoral counseling. He is a pioneer in the biblical counseling movement and much of his writing centers on that subject. He has a D.Min in biblical counseling from Westminster Theological Seminary. His ministry to the church has included pastoring and being a professor at various evangelical seminaries. Additionally, he is a popular conference speaker. His other works include New Morning Mercies, Dangerous Calling, Parenting: 14 Gospel Principles That Can Radically Change Your Family, and an Advent devotional: Come Let Us Adore Him.